Bell System offers a complete range of door security systems for the UK domestic and exports market. 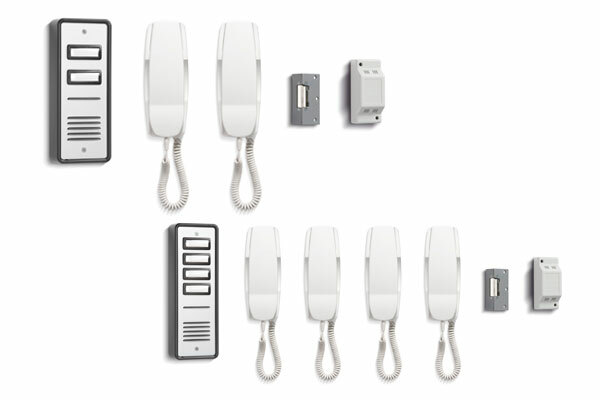 From the basic model 901 single station residential intercom kits to the sophisticated Bell Call digital entry systems; most access control applications are catered for. 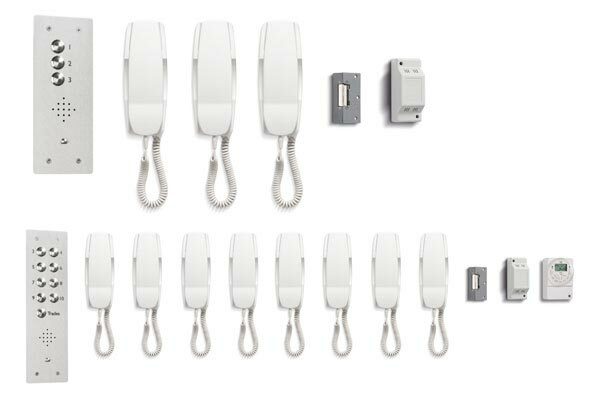 An impressive range of audio door entry telephones is available incorporating the features and functions demanded by the expanding door security systems and access control markets. The Bell 900 Series door entry systems are recognised for their high quality and competitive pricing and are widely accepted as the industry standard. Each system provides all of the components necessary to install a complete audio door entry system; including a surface lock release as standard. These systems are available from a one way (model 901) up to 10 ways then the Entrance Panel design changes. The kits include everything you would need to get the system up and running. These kits are one of our best sellers and continue to do strong sales in all sectors of the market, be it commercial or residential. All of the parts for these kits can be purchased separately. The SPA Panels supplied a popular due to their high durability, resistance to corrosion and low cost. These panels are designed with an attractive and contemporary style and are available flush or surface mounted. This is also available with a video option called the Bellissimo kit. These surface mounted panels are manufactured from anodised aluminium with a contemporary design and profile. The panels have black plastic trims complementing the stylish panel with contrasting chromed pushbuttons and speech grill. Optional nameplate illumination is available. The front panels are hinged from the back box and the hinges can easily be changed from one side to the other to aid their installation in tight locations. These kits can also have integrated coded access within the front door panel and a colour camera with video telephones with a 3.5” colour TFT display. The VRK Vandal Resistant Systems have been devised for areas that are prone to external vandalism. Each system provides all of the components necessary to install a complete audio door entry system; including a surface lock release as standard. These systems are available from a one way (model VRK1) up to any size. The Panels are available as surface or flush and provide extra resistance from vandalism. This system also has a video option. These door entry panels and systems are designed to meet the requirements of the Disability Discrimination Act (DDA). This Act requires service providers and landlords to consider making reasonable adjustments to the physical features of their premises to overcome physical barriers to access. The Bell DDA panels have been designed to address the varying interpretations and compliance with the legislation with regards to door entry systems. Pushbuttons with a high-visibility 'halo' ring are used. Each panel includes two bright indicator lights; one permanently engraved with 'Speak Now' when a call has been answered, and the other engraved 'Door Open' for when the resident has triggered the lock release. 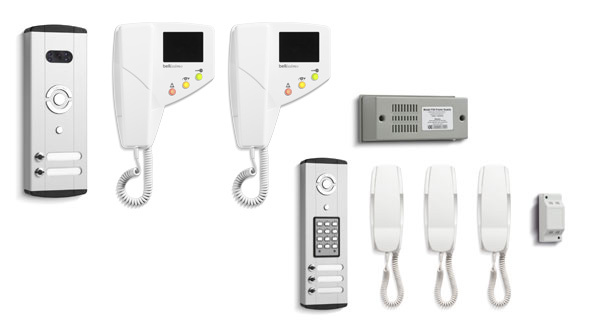 Added options include; a panel-mount proximity reader for resident or employee access, a CCD camera for connection to a video telephone and Tradesmen facilities.